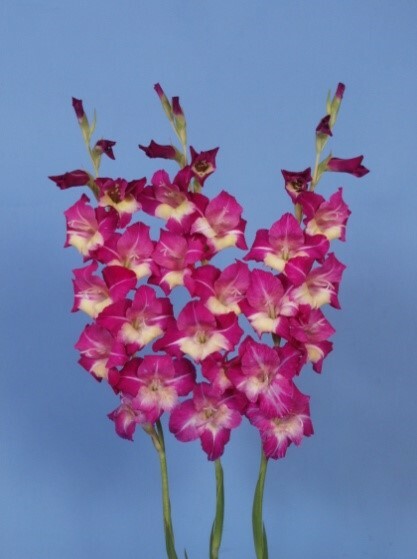 It is developed through hybridization and selection from Arka Poonum x Gold Medal – 412. It is having attractive floret colour i.e., Purple (78.A) middle, Red – Purple (72.A) margin with Green-Yellow (1.D) blotch, florets arranged in double rows, short spikes and early flowering (62-68 days). This is suitable for cut flower and bedding purpose and the marketable spikes per corm were 1. 82.